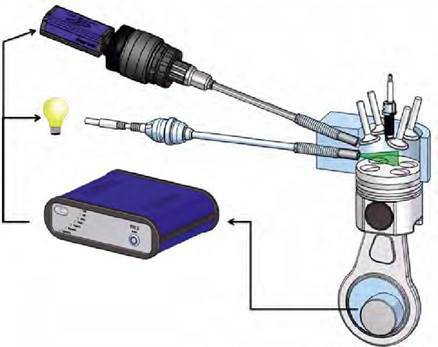 LaVision provides optical access to a running engine using endoscopes and illumination probes for the camera and lighting. 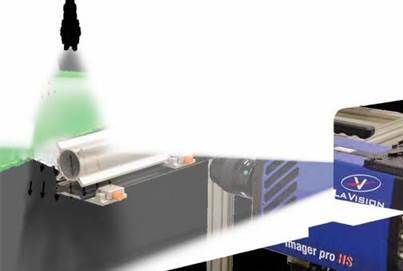 The EngineMaster inspex is a direct upgrade from a SprayMaster inspex to be synchronized and operated on engine test beds. 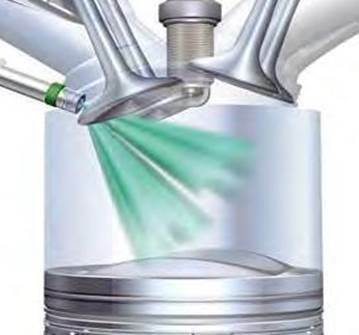 These systems visualize the fuel spray directly inside the engine with mi-nimum modifications. 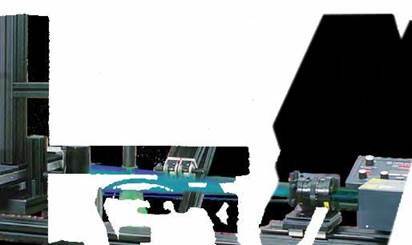 Based on imaging shadow projections of droplets the method of Shadow-graphy is applied in a small volume at a desired position within a spray (local). Quantitative absolute results are obtained and a range of lightsour-ces from pulsed LEDs to lasers can be used as backlight source. 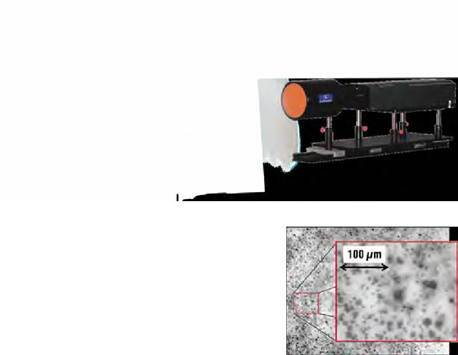 A long di-stance microscope assures a safe working distance at a high magnification to even detect very small droplets. on about droplet size in the fringe frequency. An instantaneous global droplet size map is obtained from the LIF/Mie technique where simultaneously a fluorescence signal (propotional to dro-plet volume) and a Mie signal (proportional to surface area) are recorded and divided by each other. This gives the Sauter Mean Diameter (SMD, D32) from a single laser pulse (fluorescent tracer required). 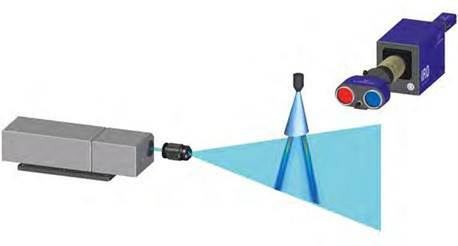 The Laser Induced Fluorescence (LIF) signal is proportional to the droplet mass and, therefore, contains a different information from what can be observed with purely Mie scattered light, which is proportional to the sur-face of the droplet. 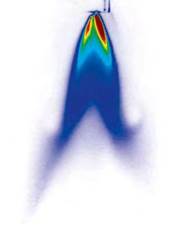 In combination with PIV the mass flux can be derived. 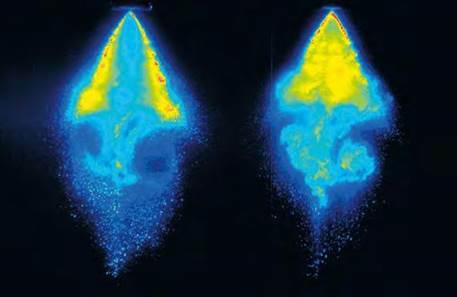 Laser Induced Exciplex Fluorescence (LIEF) allows simultaneous visualiza-tion of the two phases. Due to the special LIF tracers the signals from the liquid and the vapor phase can be spectrally separated by optical filters. 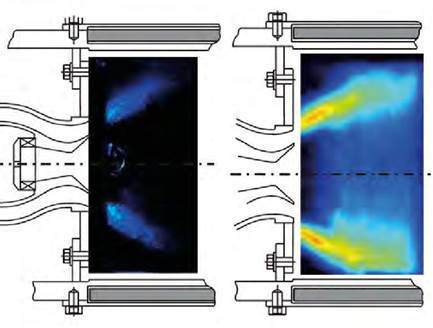 Velocity field measurements using Particle Image Velocimetry (PIV) are well established in fluid mechanics and can be applied to spray droplets or the surrounding air (with additional seeding). 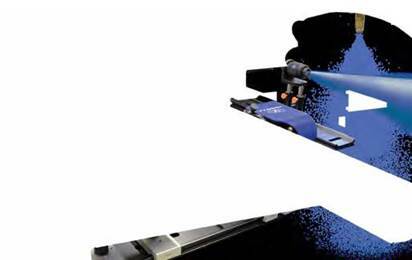 The double-pulse laser of a FlowMaster system is an excellent basis for upgrades to many other techniques. 2-phase flow field of spray ZhangMeas. 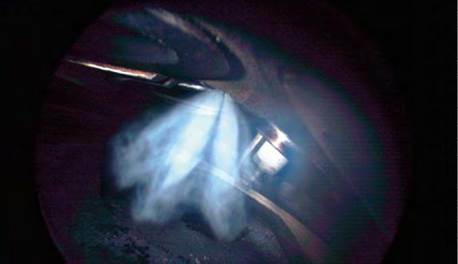 Fuel sprays determine to a large extend the fuel/air mixing process in e. g. IC-engines and gas turbines and, thus, the quality of the combustion process itself. 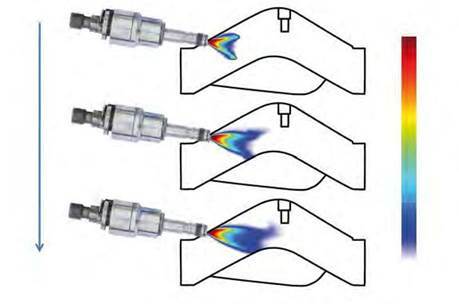 Laser imaging provides useful information about the fuel concentra-tion distribution, evaporation and, finally, maps of fuel/air mixture ratios. 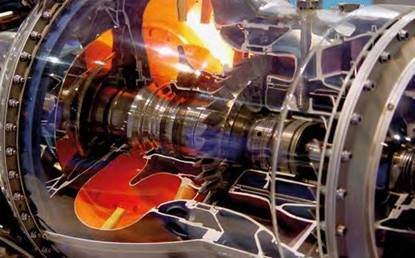 Nowadays laser imaging is a routinely used measurement tool for the in-vestigation of fuel sprays in high pressure test cells or directly inside the combustion chamber. Keyhole imaging can be realized using laser and camera endoscopes, respectively. 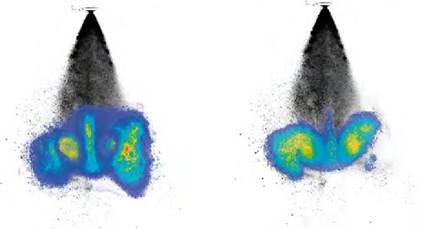 Laser spray imaging offers an efficient analytical method for spray charac-terization replacing old “trial and error” approaches and provides useful data for the validation of CFD models.